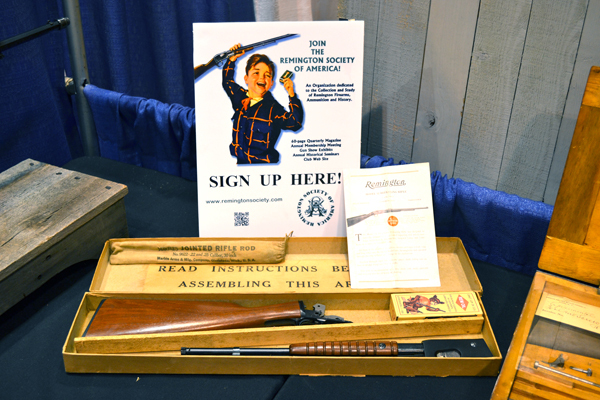 The Remington Society was represented at the Annual NRA Member’s Meeting in St. Louis by RSA Director Billy Smith. 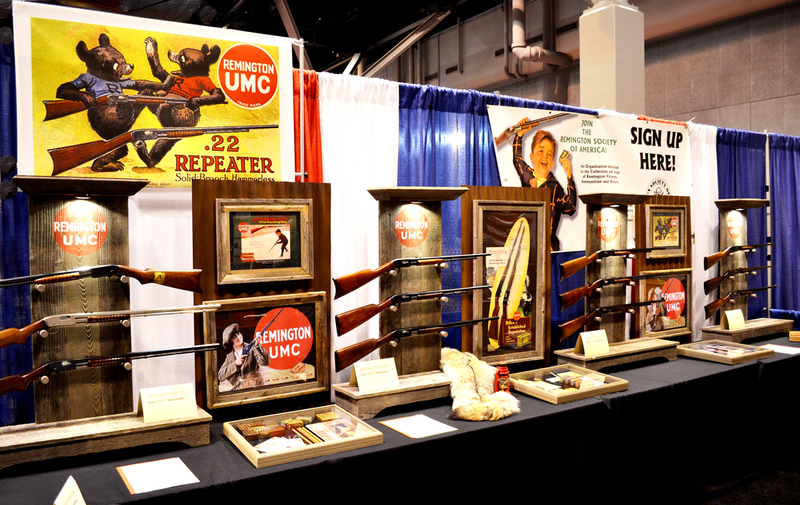 Shown here are pictures of his outstanding exhibit of rare and unusual Remington Model 12 rifles, including many original ads, accessories, and associated materials. The earliest known prototype rifle fabricated in 1907 by J.D. Pedersen, Crawford Loomis and G.H. Garrison. The original cased, factory “Gauge Gun” which held the exact specs for all parts produced in Ilion. A Remington Model 12C “Gallery Special” rifle fitted with William Pinkston’s patented device to count the number of shots fired. 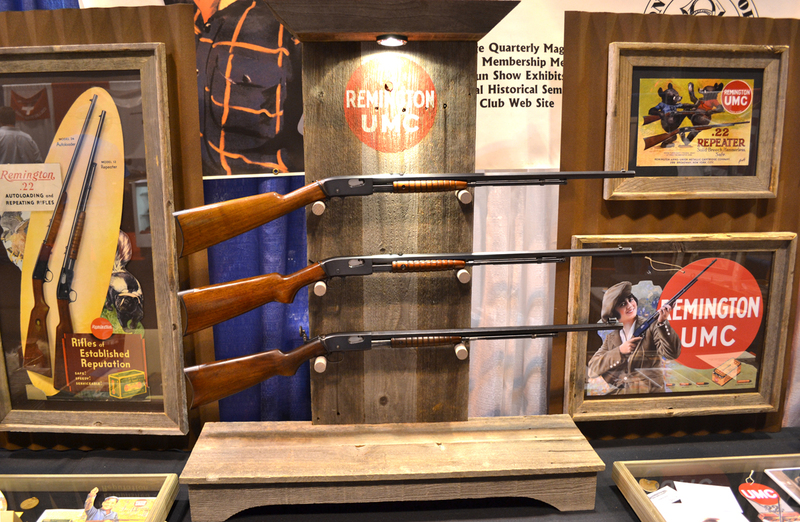 Billy’s Remington Model 12 display won the “Spirit of the Game Award” presented by the NRA Firearms Museum! 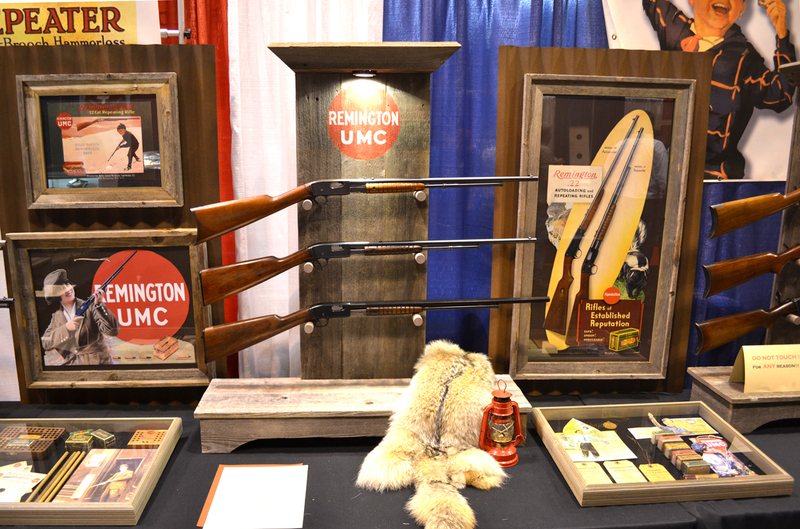 Shown here is the centerpiece of Billy Smith’s display of Remington Model 12 rifles. 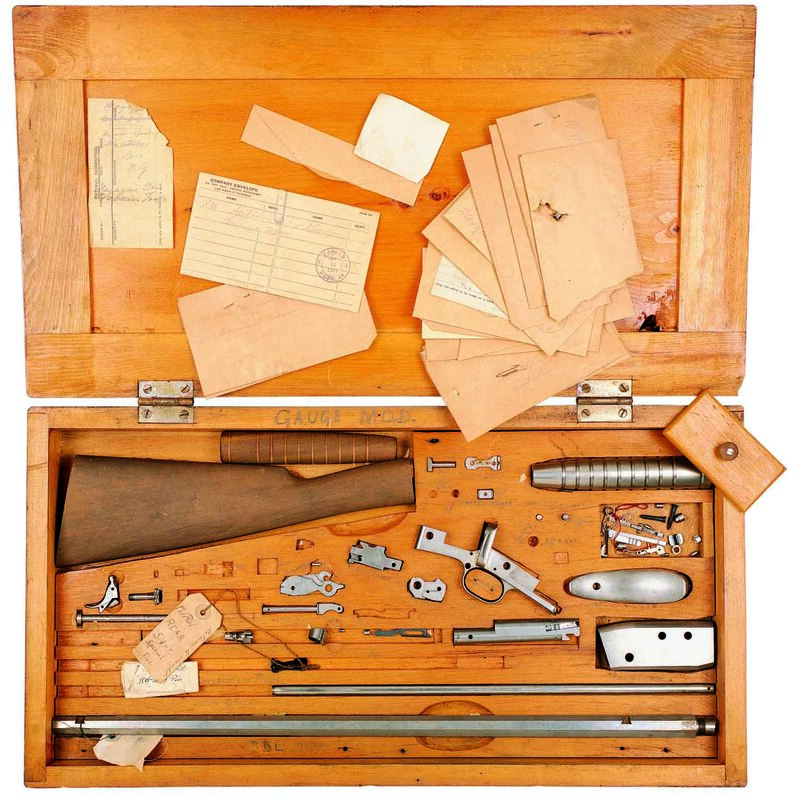 In all, the Remington company sold 831,737 of these well constructed, slide-action, .22 rifles between 1909 and 1936. 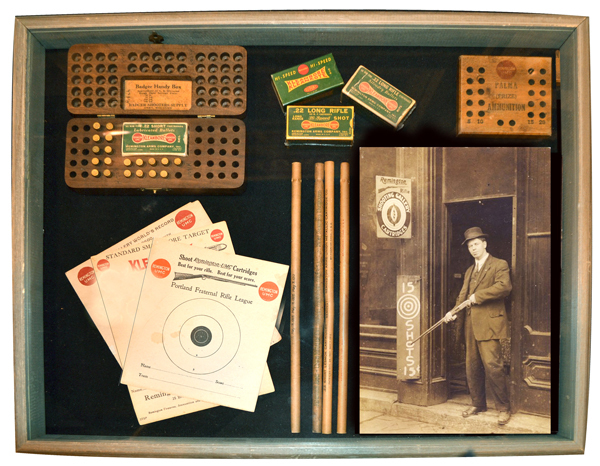 Here is just one of the exhibit cabinets of Model 12 related accessories, ammunition, targets, loading blocks and loading tubes.